How to Create a Warm Welcome to Your Wedding! There are so many details involved in a wedding that it's often easy to overlook some of the most basic details that will make your wedding memorable to your guests. Whether your guests have traveled across the country, or just from the next block, it's nice to make them feel welcomed when they arrive. It adds to the excitement of the day and let's them know they've "arrived" and they are in for a good time. We usually recommend inviting guests on the invitation 15-30 minutes prior to the ceremony start time. This accommodates a more relaxed atmosphere and allows them drop their gift, sign the guest book, say hi to friends and have a refreshment. A Welcome area should be created at the spot that you think guests will be leaving their cars and entering the event. A welcome sign or greeting can be placed here, along with programs if you have them. The gift table should be nearby so they aren't holding their gift or envelope for long. If you have a guest book, this is where it should be located. 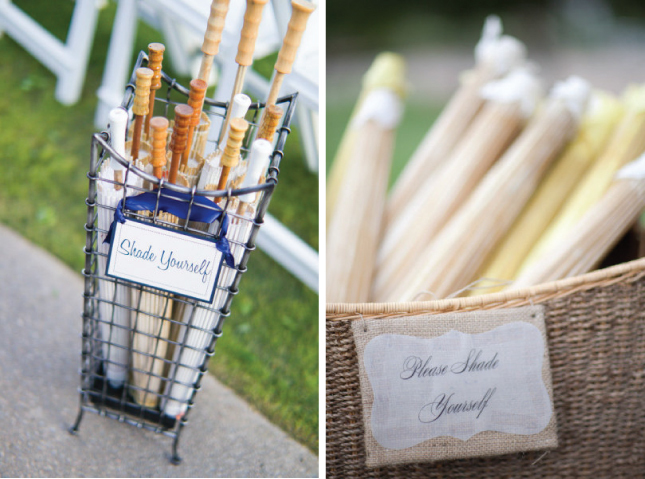 Traditional guest books can be replaced with anything from a large photo of the couple for signing, a photo book made by the photographer for well wishes, thumb print trees, signed baseballs and on and on. This is a great place to tie in your theme. It's always welcoming to have music upon arrival. Live musicians are wonderful because they provide entertainment as guests are waiting but even recorded music can set the tone for the event. 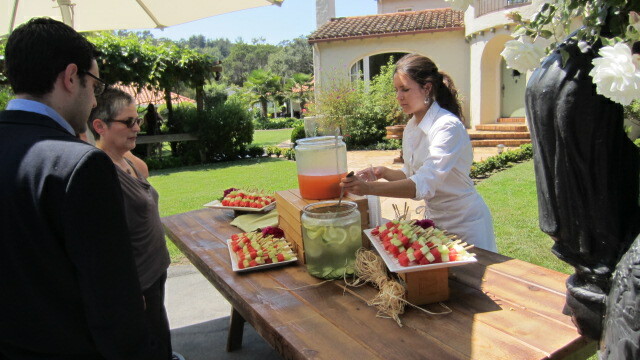 A refreshing beverage station with lemonade, ice tea, water or a signature drink is nice. Sometimes a nibble of food or a fresh fruit kebob is a light snack especially for a late afternoon wedding when guests might not have eaten since lunch time. Having Fun with Table Assignments!